Our next meeting will be Monday, June 18 @ 5:30 pm. Please contact Mary Duddy for more information. 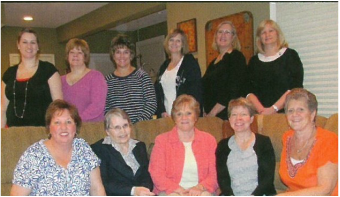 The Lydia group meets the second Tuesday of each month between September and May in different member’s homes. During the summer months they eat out in local restaurants. They strive to grow spiritually through Bible study. They also seek to provide prayerful, financial, and nurturing support for our congregation, community, and each other.